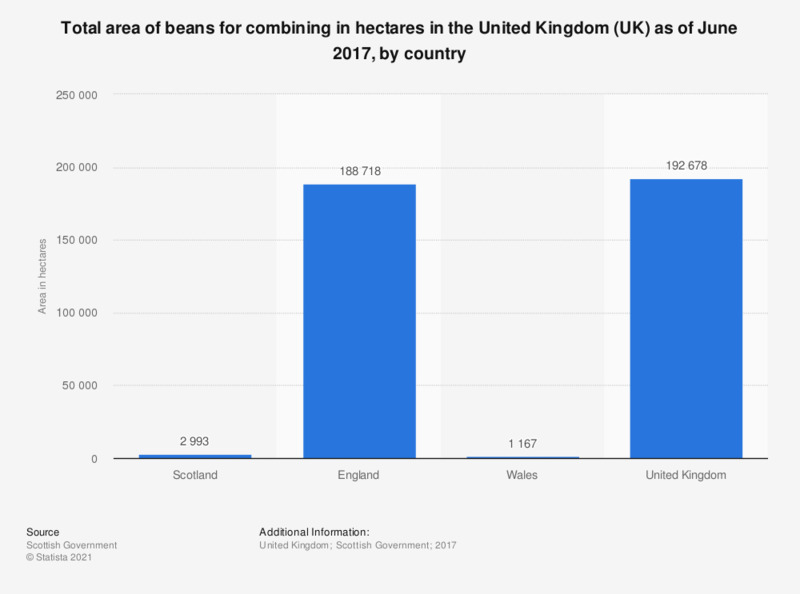 This statistic shows the total area of beans, for combining, in hectares in the United Kingdom (UK) as of June 2017, by country. During this period there were approximately 189 thousand hectares of beans grown in England. The source adds the following information: " Wales figure includes peas for combining." Statistics on "Organic farming in the United Kingdom"